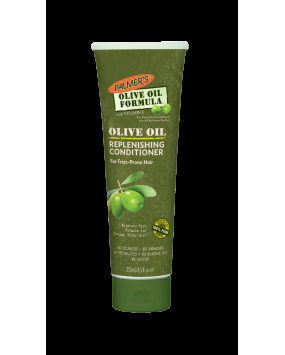 This rich conditioner smoothes out frizzy hair, increases moisture levels and softens tight curls. Extra Virgin Olive Oil is combined with Soybean Oil and Keratin Amino Acids to protect the hair from environmental aggressors and hot styling tools so that hair is shiner with extra bounce, softer and less frizzy and easier to style. 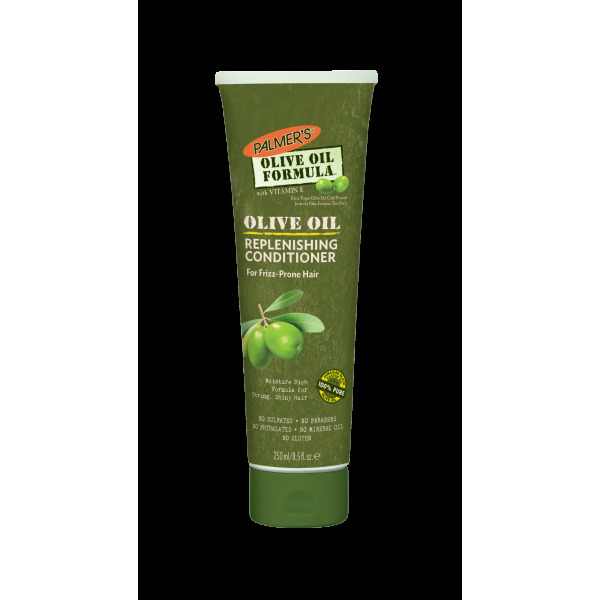 After shampooing with Palmer's Olive Oil Formula Smoothing Shampoo, apply generously to wet hair. Leave on for up to five minutes then rinse. Extra Virgin Olive Oil, Vitamin E, Jamaican Black Castor Oil, Soybean Oil, Keratin Amino Acids.